The Future. Who hasn’t thought about what their future would be, or how they can improve it? Or just wonder if you will make it to the next day? This year was the year we were all supposed to be dressed like crazy Mad Maxians (Maybe I just coined a new phrase) because Marty and Doc showed us this. 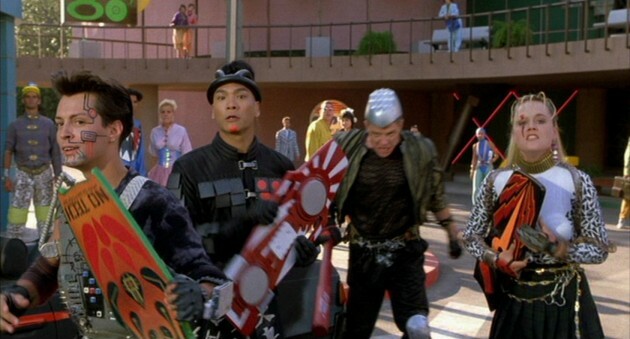 Well, maybe we do have some crazy dress, and they got a few things right about our future here in 2015. We do have big flat screen TV’s, video conferencing, and fingerprint scanners (My IPhone lets me lock it with my thumbprint so that is cool, no more codes to memorize). I took a little creative license with the Chiasmus part but I think my fellow Writing 201ers will figure it out. I also modified from Shakespeare’s rhyming scheme (ABAB CDCD EFG EFG). This entry was posted in Commentary on Life, Poetry and tagged chiasmus, Commentary on Life, Future, Life, Poem, Poetry, sonnet, Writing, writing201. Bookmark the permalink. i like the rhyme scheme this way ~ great flow to it. especially like the meaning of the first two verses ~ so many times it seems people make choices in life by not choosing, which is a choice in itself. great write!